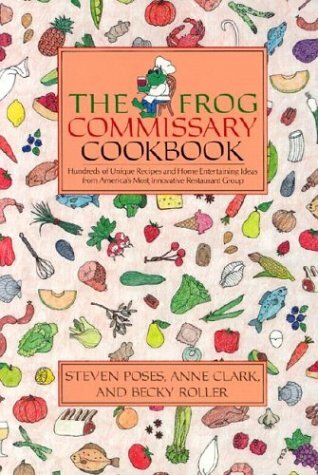 This cookie recipe is my variation on a classic from one of my favourite cookbooks, The Frog Commissary Cookbook by Steven Poses, Anne Clark and Becky Roller. Its dog-eared, ingredient-splashed pages open easily to my most-used recipes and I never tire of thumbing through the pages to read the margin notes. It was one of the first cookbooks I bought on my own in 1985, and it still holds up really well. these cookies are loaded with everything! Preheat oven to 350F/175C. Cream the butter with the sugars in a mixer or by hand. Add the vanilla, milk and eggs. Add the flour, salt, baking soda and baking powder to the creamed mixture and beat to combine. 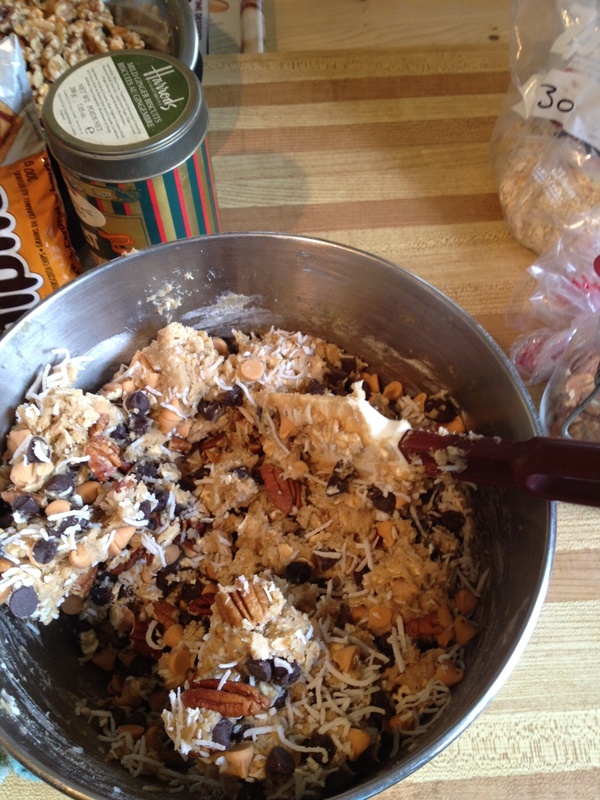 By hand, add oats, chips and nuts. 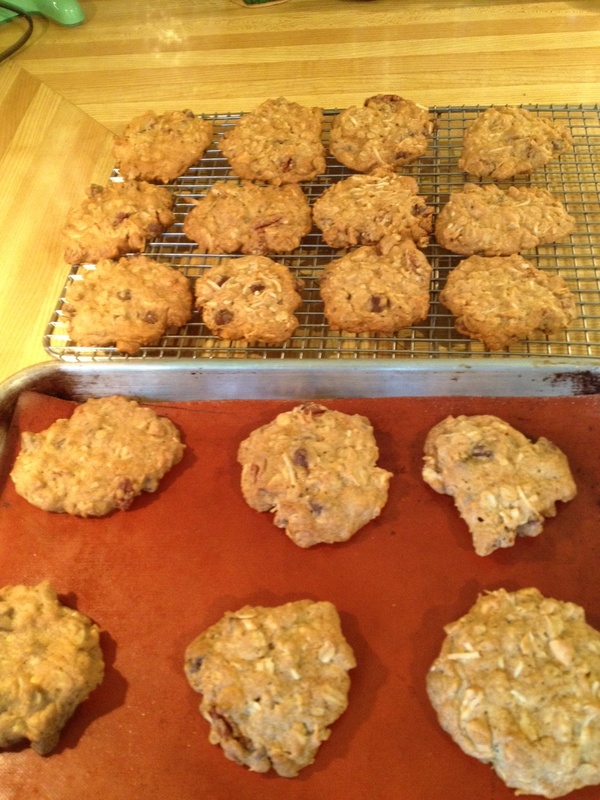 MARGIN NOTE: For that just-out-of-the-oven taste, warm day old (or even week old) cookies on a baking sheet in a 350F/175C oven for 3-5 minutes.